This vase was turned from a Cherry burl nestled high up in a dead tree. 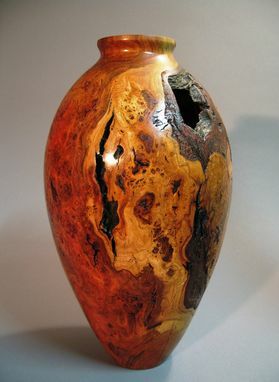 Burls are often caused by diseased or damaged parts of a tree and the resulting explosion of growth yields unique and beautiful grain patterns on the inside. 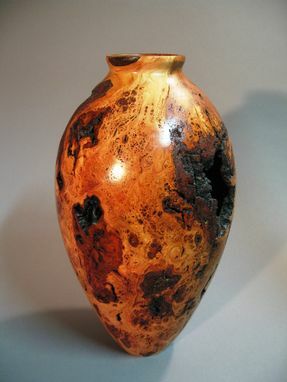 The voids are the natural indentations of bark. All the natural colors are buffed to a high sheen finish. 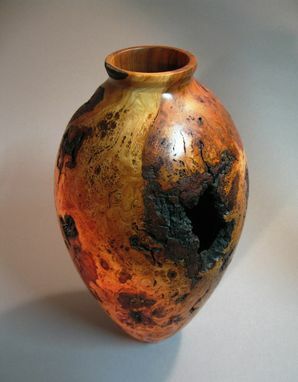 Dimensions: Approximately 12 inches tall by 7 inches wide.